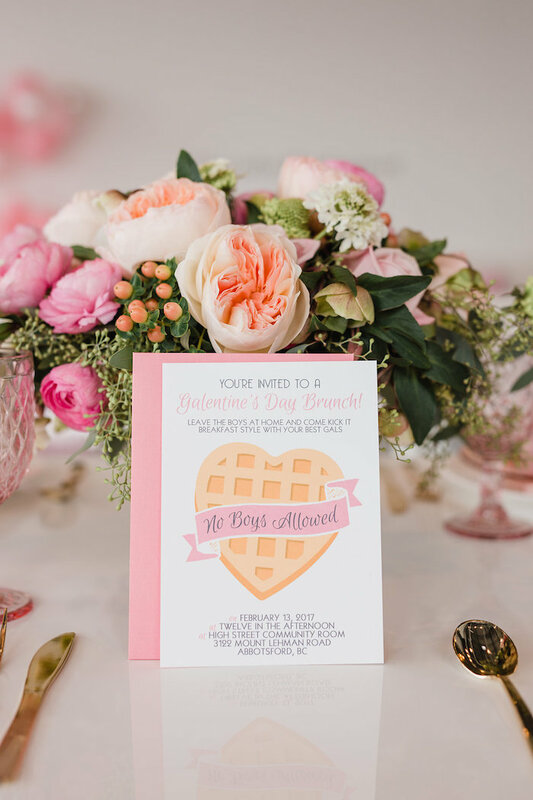 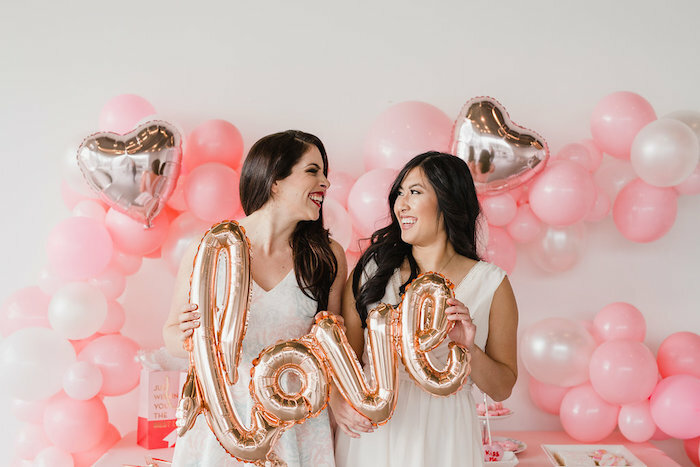 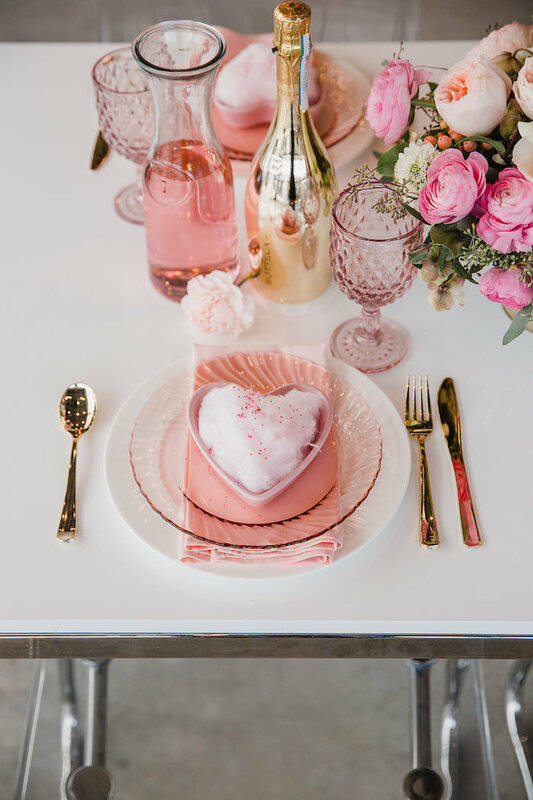 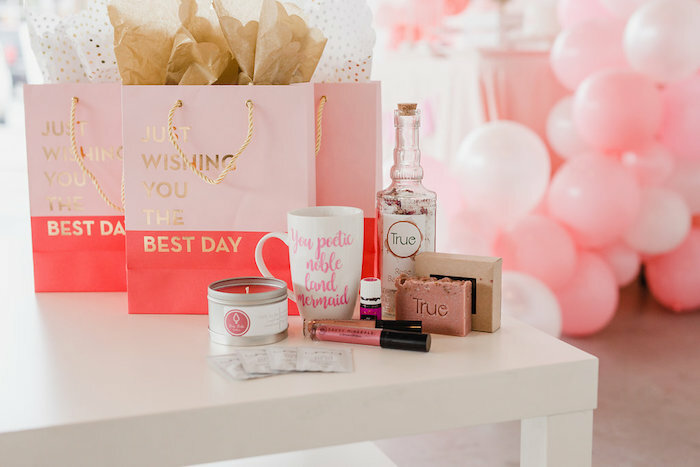 Call the girls and leave the boys, this Galentine’s Day Valentine Brunch by BevSoh of Hand Lettered Love by Bev, out of Abbotsford British Columbia Canada, is full of all sorts of joys! 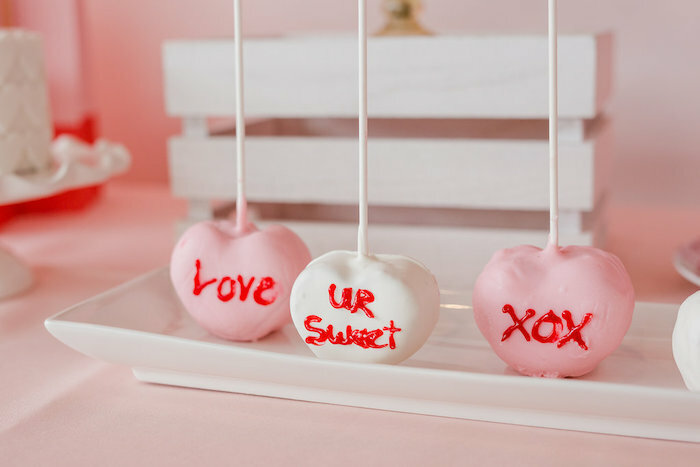 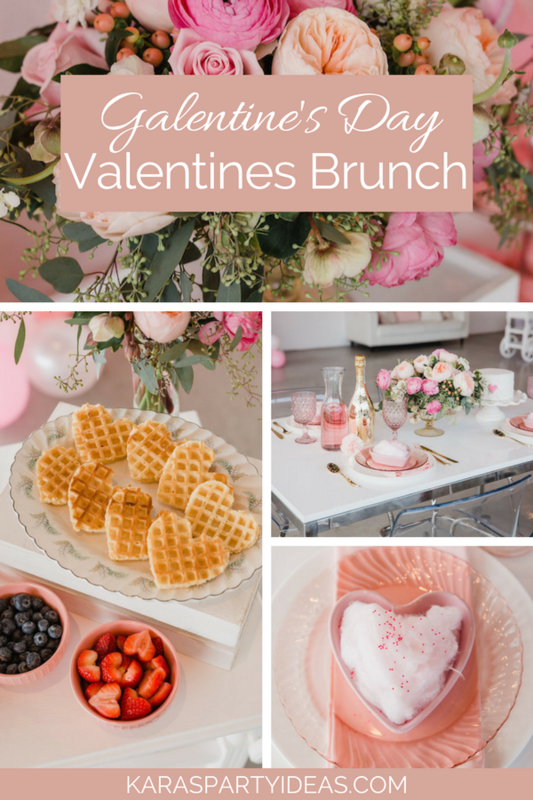 From the love-ly waffle bar to the scrumptious sweets, this V-Day party is an absolute treat! 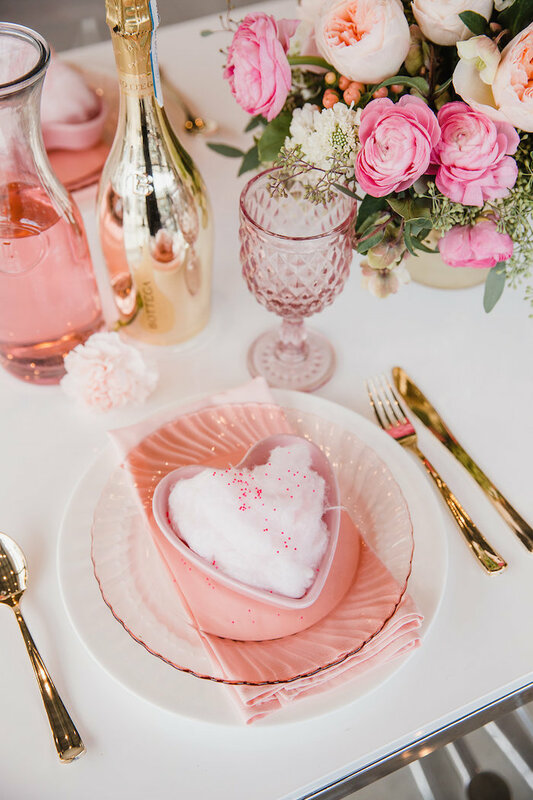 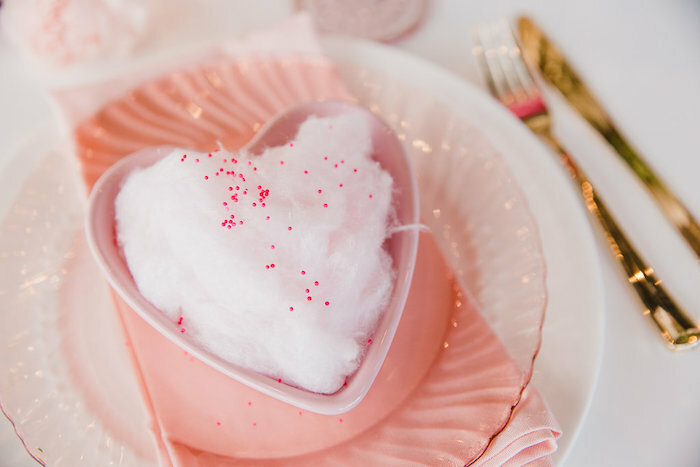 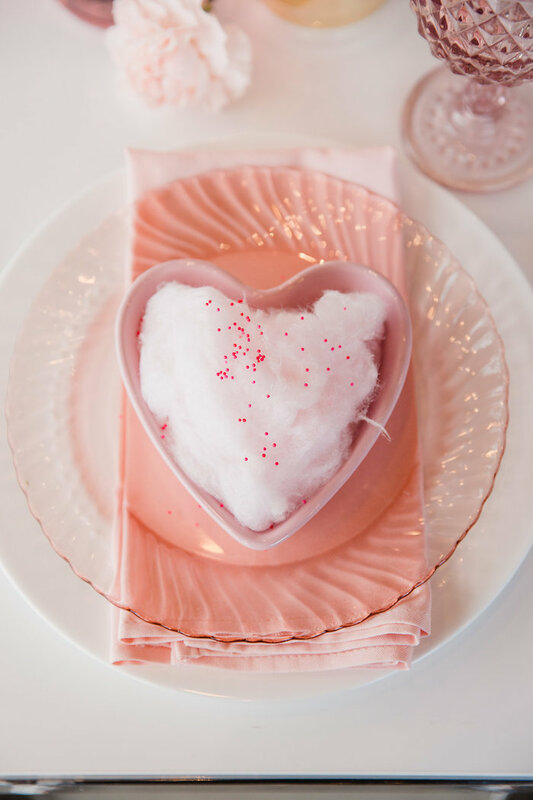 And cute V-Day heart place settings complete with confetti cotton candy! 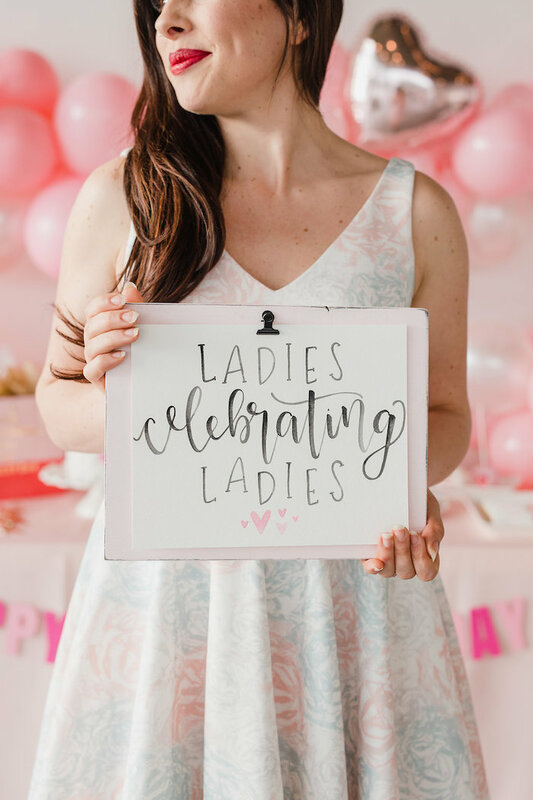 “Valentines day is great for celebrating with your sweetie but why not take the time to celebrate the lovely ladies in your life too? 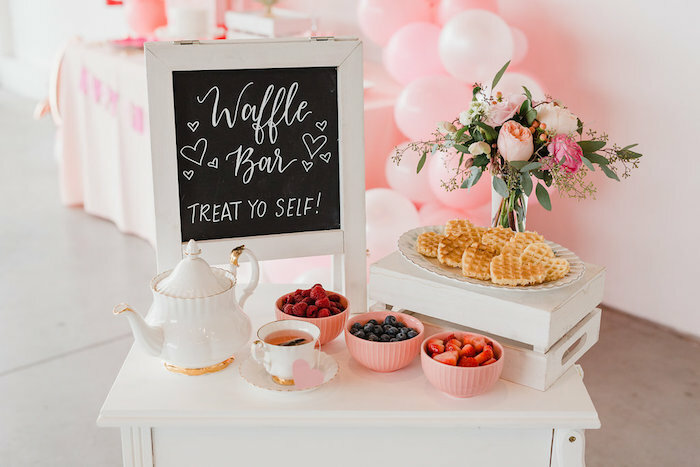 This swoon-worthy Galentines day brunch celebration will make you want to leave the boys at home and kick it with your best gals, breakfast style! 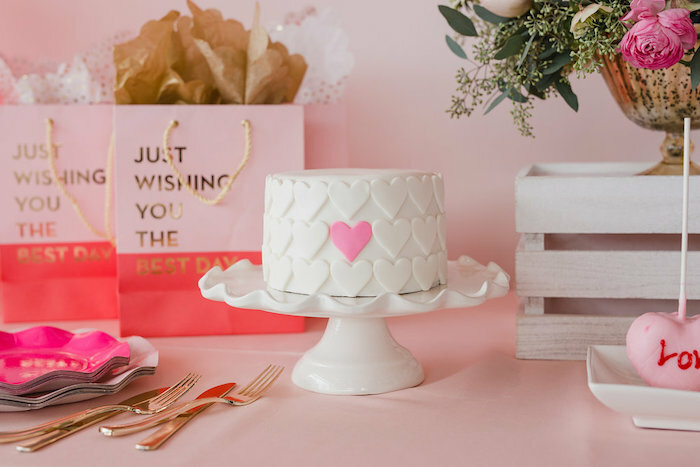 Captured beautifully by Amber Leigh Photography and styled by Hand Lettered Love by Bev, this shoot is all kinds of beautiful. 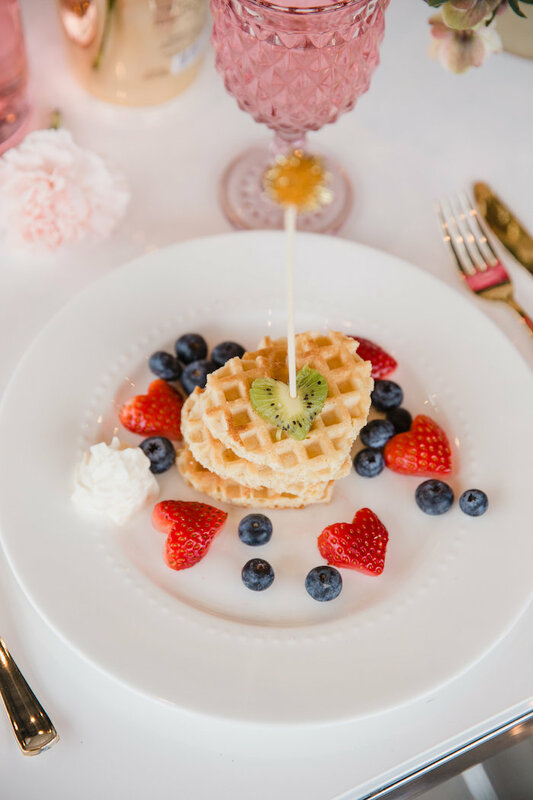 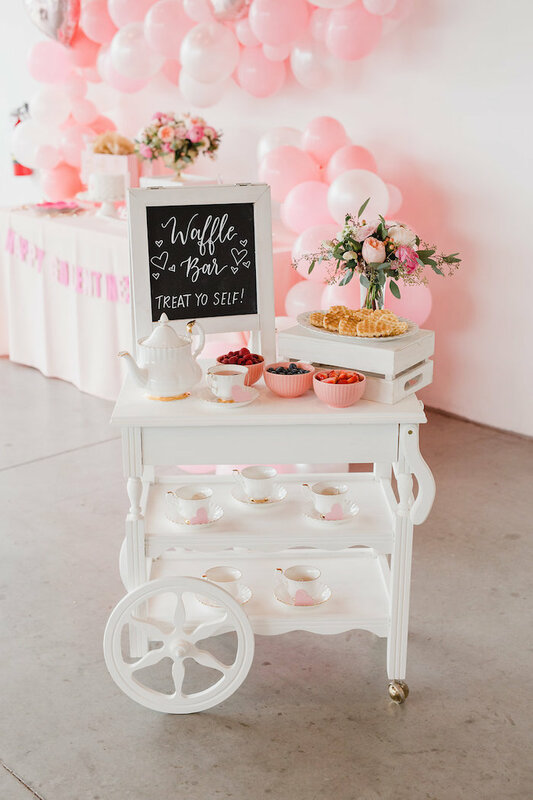 For our guests, we served up a DIY waffle bar on the most adorable tea trolley. 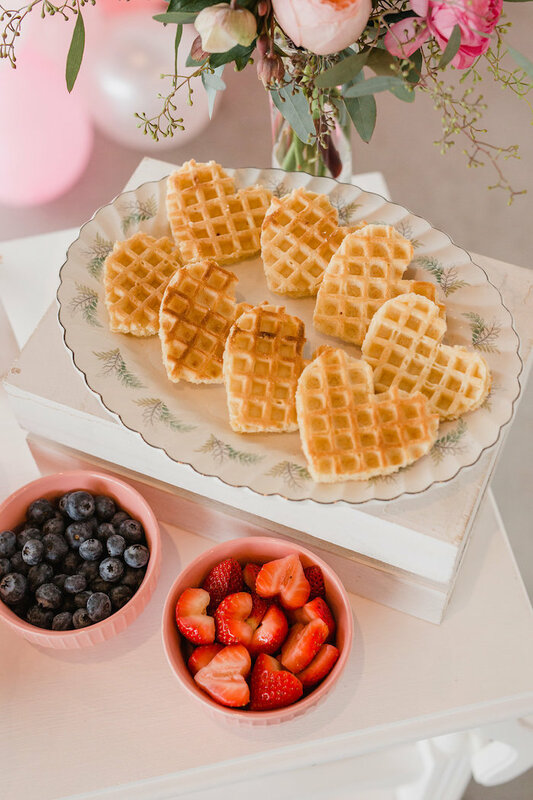 we used a cookie cutter to create these heart-shaped waffles and strawberries. 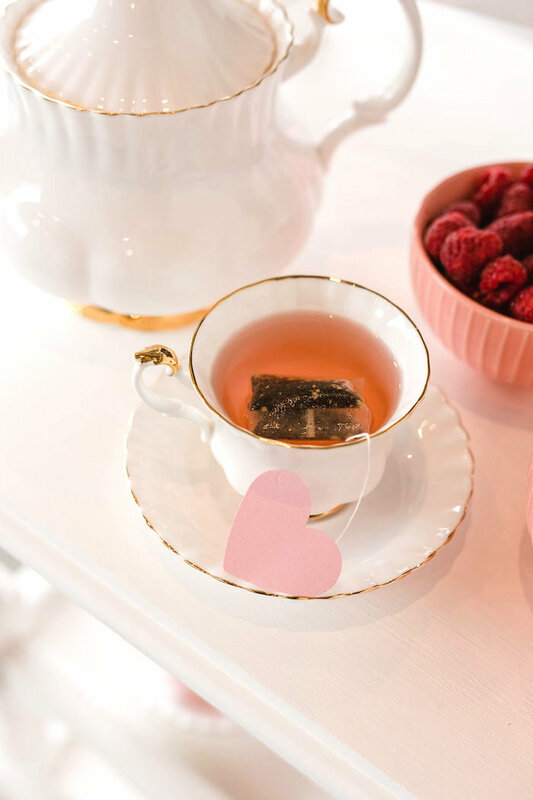 A heart-shaped punch was the key to making the simple heart-shaped tea bag tags. 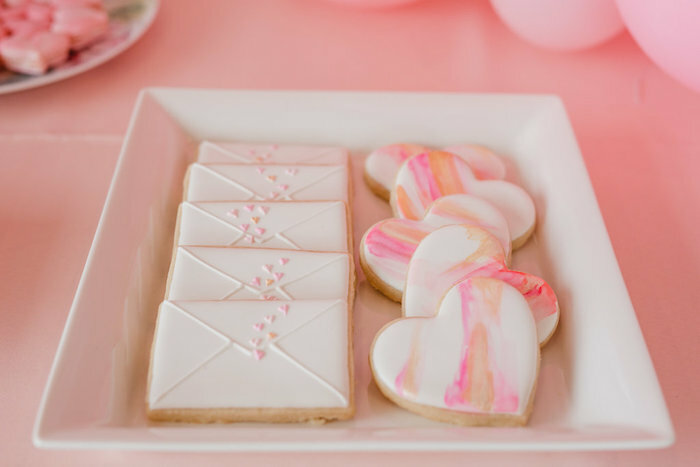 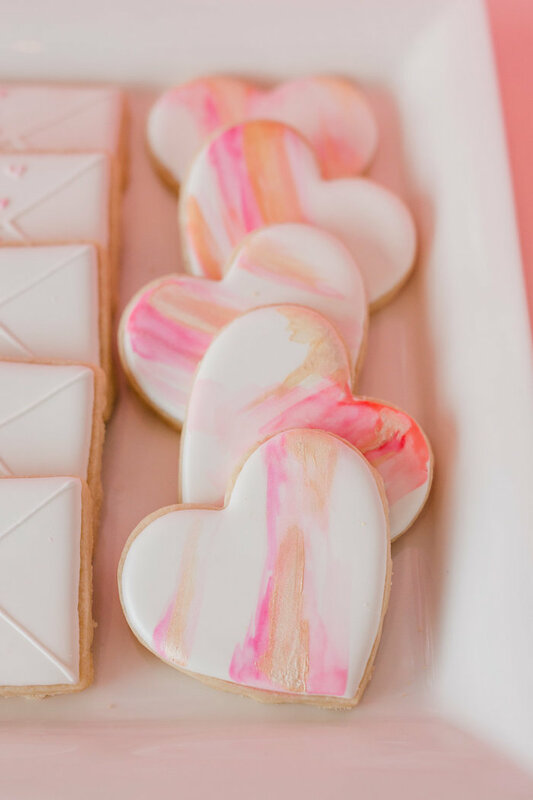 In addition to our tea trolley, we served up an abundance of delicious treats including the sweetest heart themed cake, conversation heart cake pops, hand-decorated cookies, and delicate macarons. 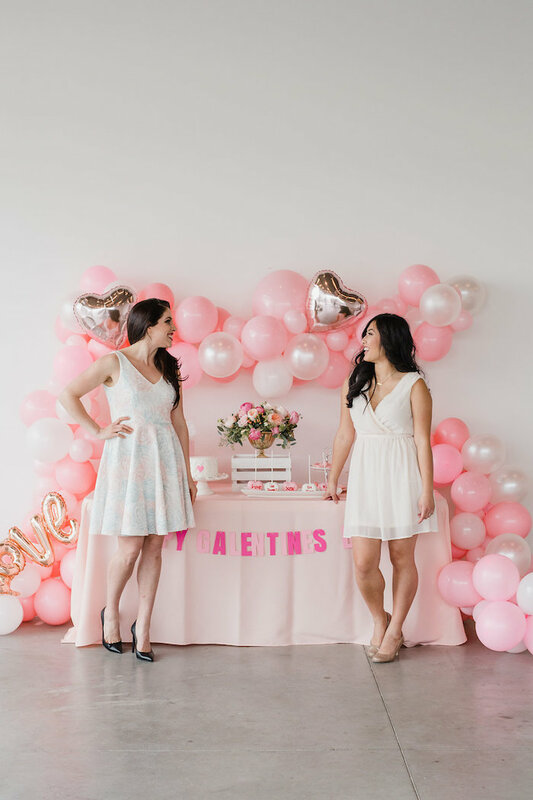 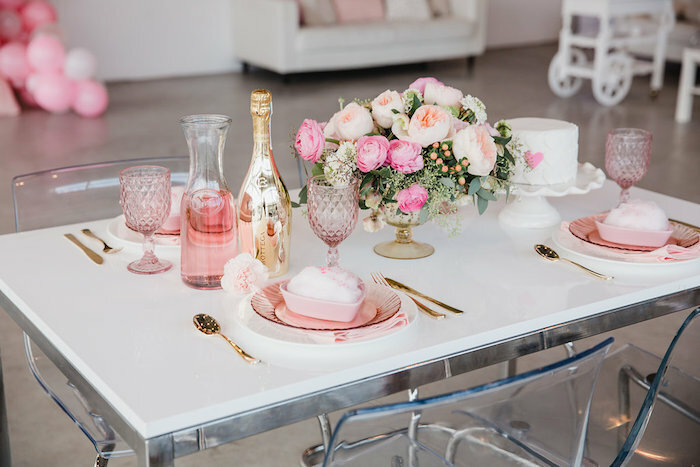 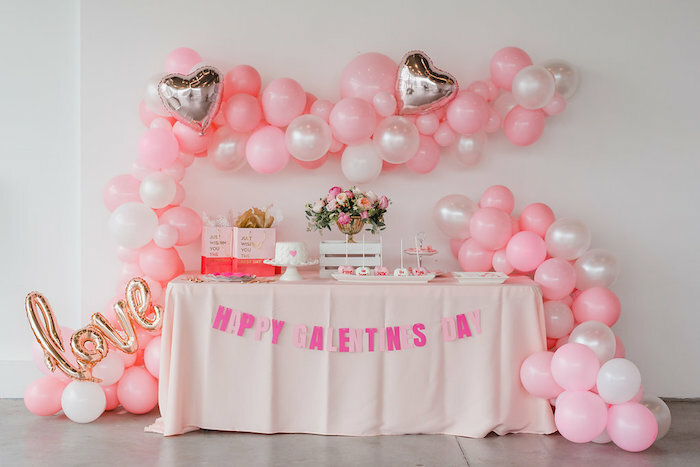 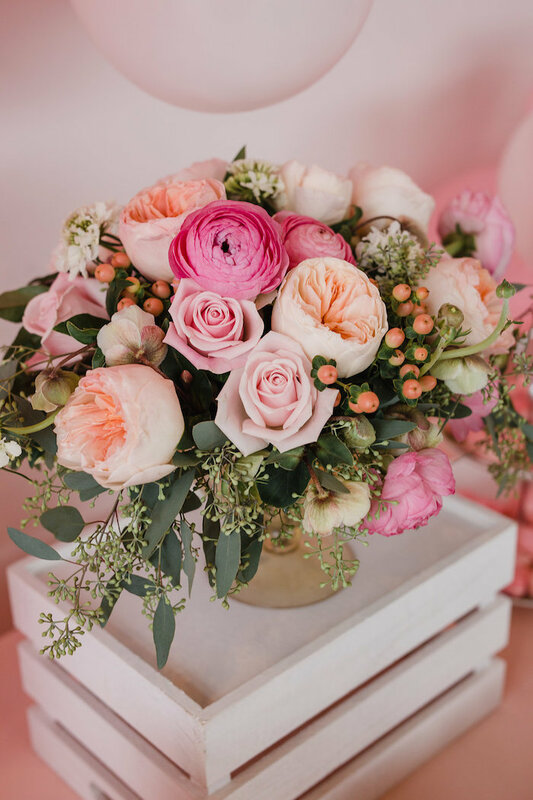 Add some elegant florals and a stunning balloon garland and youve got us feeling tickled pink”! 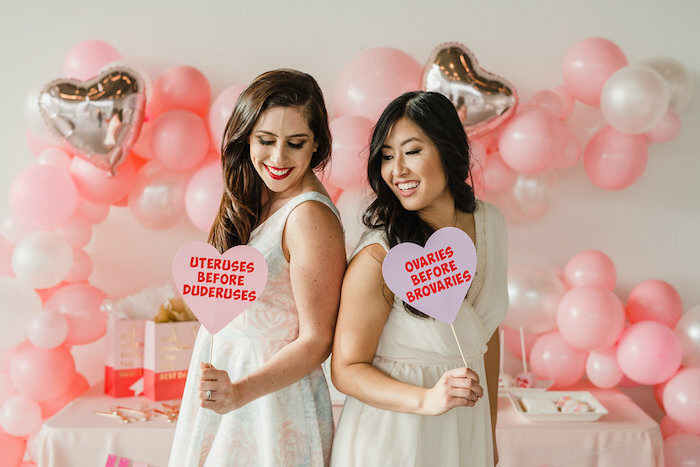 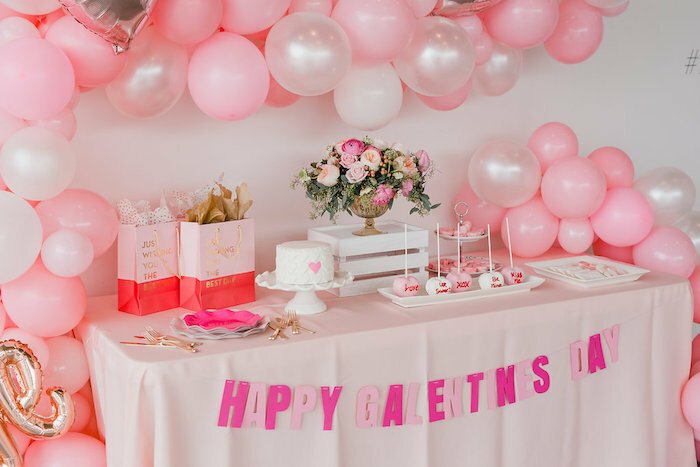 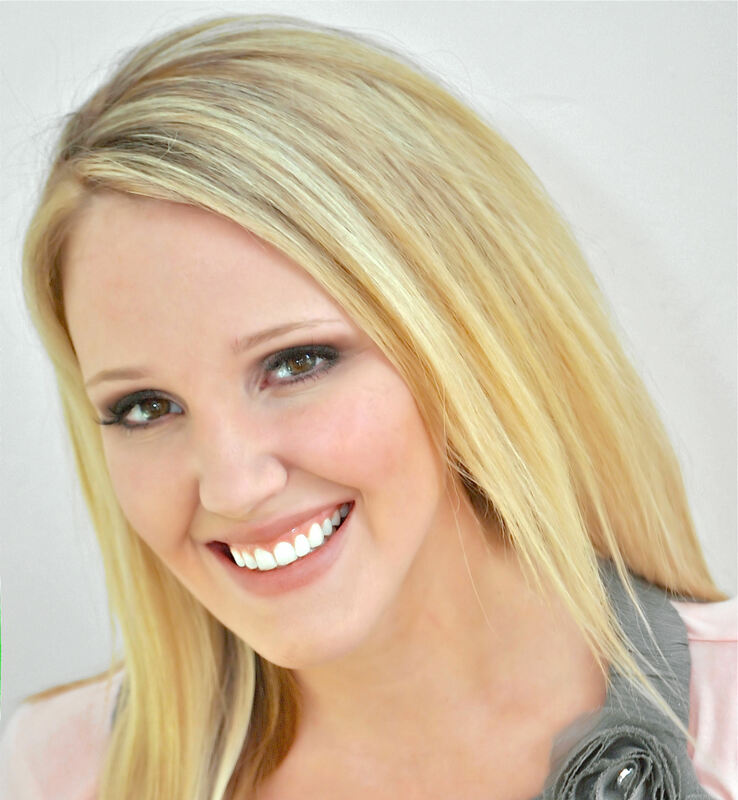 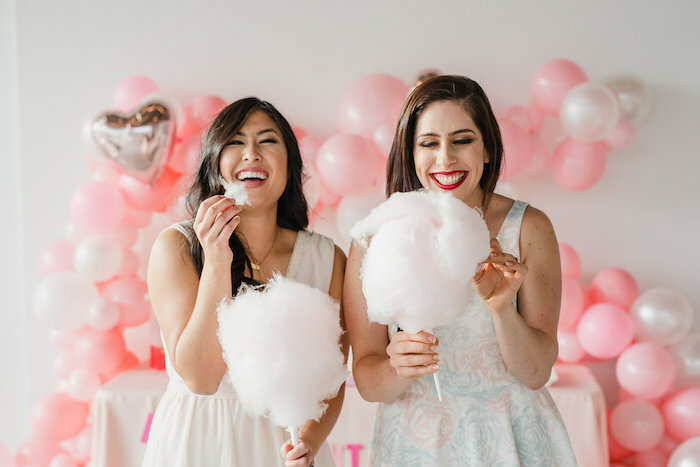 See all of our Galentine’s party ideas here! 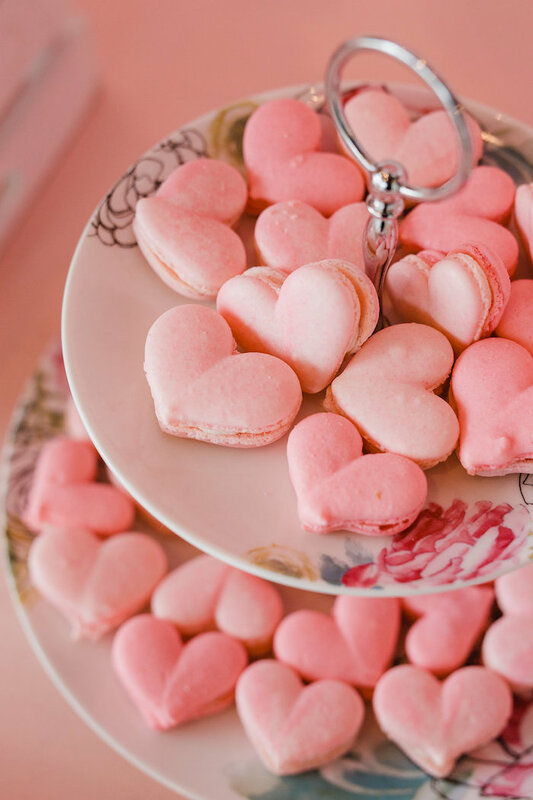 Looks so awesome! 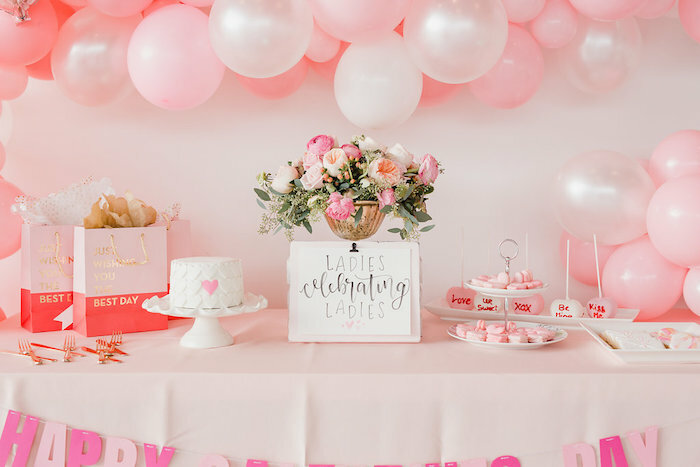 Also, I think it would be a great idea to make a hen party in this style.